I'm afraid I'm repeating myself but OH MAN, I love this city. It's clearly paradise for shopaholics like me (which I don't know if it's a good thing or not). There are so many offers aaaall the time! Very irresistible. And specially so if Vogue decides to throw a massive party for all locals and tourists around to enjoy your shopping experience around Oxford and Regent St. And straight after LFW. I mean, how much more convinient could this be? 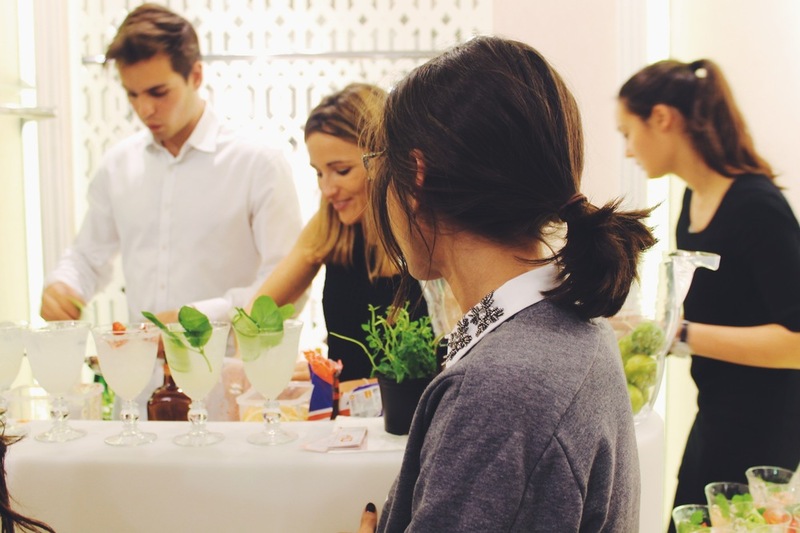 So what happened during Vogue's FNO ("Fashion Night Out"), you might be wondering. That, I will tell you. From champagne and macaroons to cheeky photo booths, the night was very promising. And as an organized freak that I am, I had a little cheat sheet to know where to be for the night. Needless to say this is an event that you enjoy more if you go with your friends (as I did). Girly time #modeON. So we started our adventure around Bond St, going through South Molton Lane and Brook St. For me, the best area to stay around. Shops are nicer and customer service is excellent. 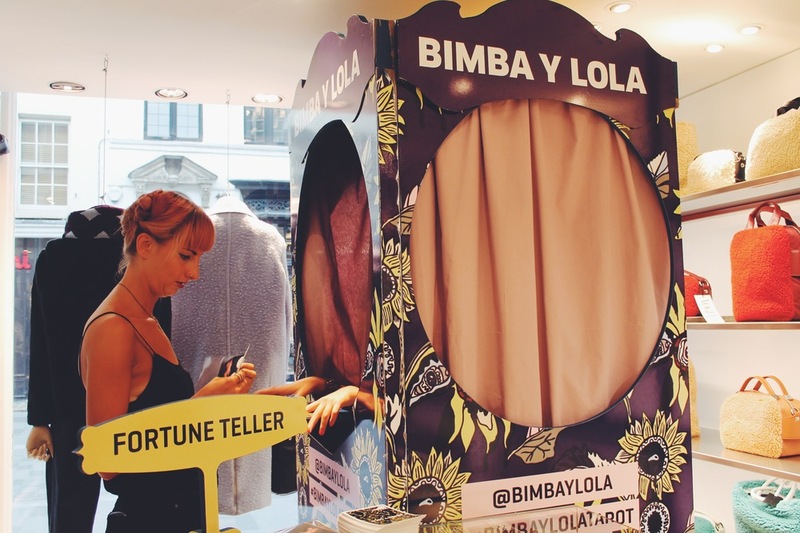 Of course our first stop was Bimba y Lola (such a cliché, considering I'm spanish). To my surprise, they decided to have a fortune teller in store! Not that I believe in these kind of things but it was fun to try. Even more if you sipping really good cava and taking pictures. From there we moved to Aubade, a very nice lingerie shop (although a bit small in my opinion). They had the funkiest photo booth of the night, where you could pretend to be a model and get to wear their accessories in-store. Once more, while sipping champagne and eating Ladurée macarons. Classy. As if we didn't have enough, Ted Baker had a waffle cart outside their stores, and Thomas Sabo had a pink-vibe van that was serving jewelry, fortune cookies and cupcakes. How ideal. From there we moved to Aspinal of London. Do I have to tell you how nice their bags are? The event at their shop was magnificent, with the cutest and biggest bear and a saxofonist welcoming you into the store. The first 50 customers also got a free goodie bag, what I wasn't one of the lucky 50. Time was going by but we weren't done. 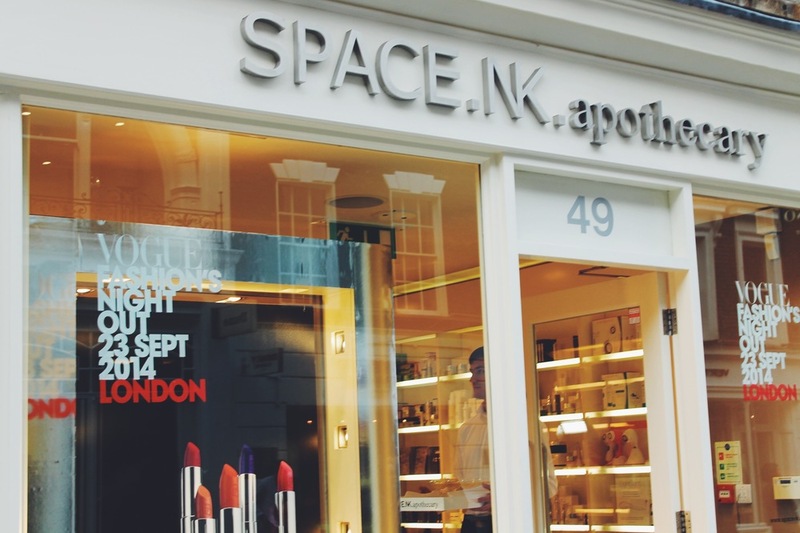 After a quick stop at Monica Vinader we head to House of Fraser to get our official Vogue Cover Shoot and a complimentary YSL goodie bag. Then off to Coast to get ourselves make-up ready for the rest of the evening and check out some cute eventful dresses. Sadly, we took much more time doing that and we ended our fashion tour in Regent St, unable to keep on going because the shops were closed! Nevertheless, it was definitely a night I will remember. Wearing: Calvin Klein Jumper (available here), Pull&Bear Scuba Skirt (available here), Bershka Metallic Sneakers (available here), Zara Embroided top (old) and Zara metallic Clutch (old, similar here).